Boyd spends $5000 on 1000 boxes of Girl Guide Cookies! 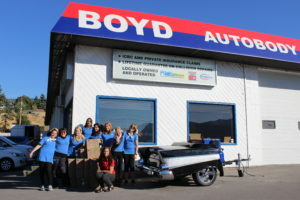 Boyd Autobody & Glass spends $5000 on 1000 boxes of Girl Guide of Canada Cookies! With this massive purchase we are hoping to help the kids go to camp, and do so much more. Every year Boyd buys hundreds of Girl Guide cookies, but this year we took it to the next level! 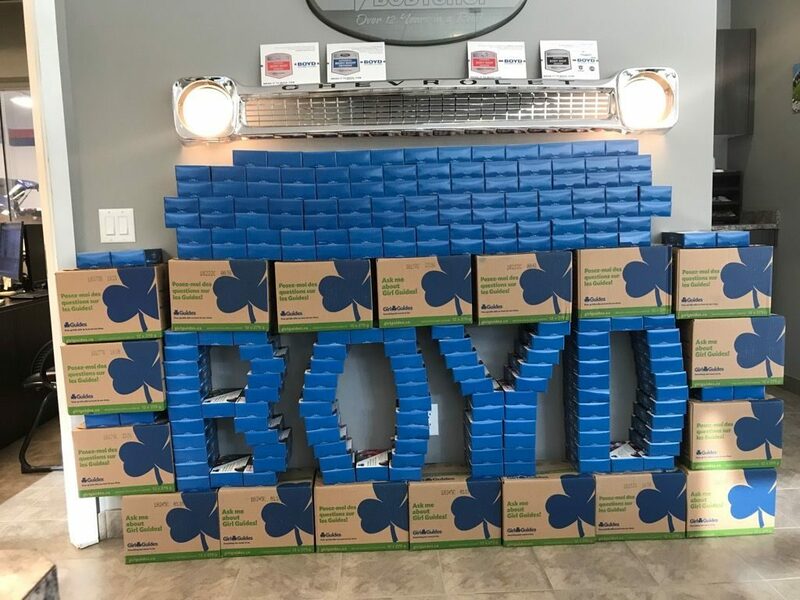 Since it is our mission to give back to our local community, we not only bought these cookies, but we are also giving a free box to every customer who Brings it to Boyd! When you choose Boyd, you are helping your local community! 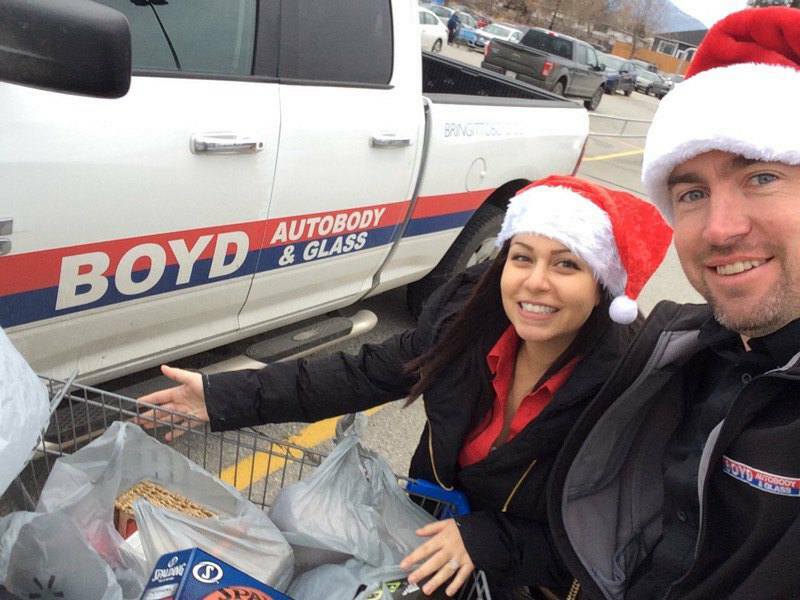 Boyd Gives Back to the Cops for Kids! Headlight Restoration Campaign! $20 Headlight Restoration – proceeds to the Cops for Kids! 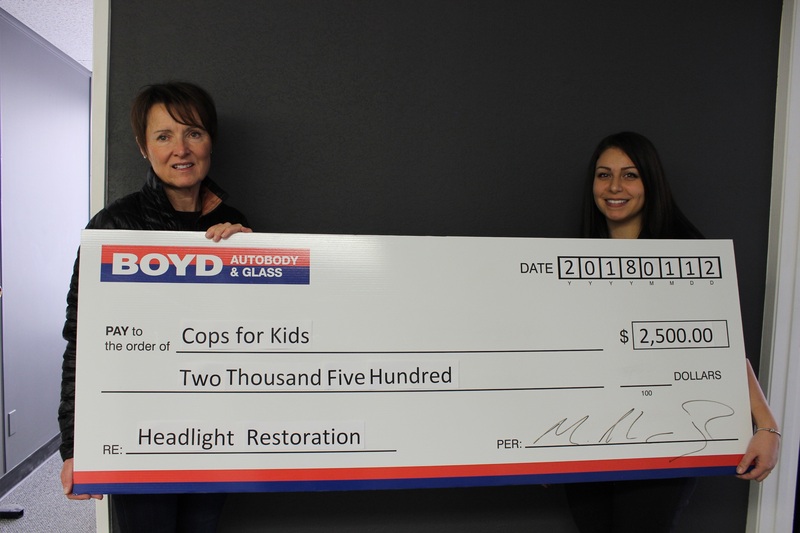 Boyd Autobody & Glass Okanagan is thrilled to announce all our proceeds from our headlight restoration from October 3rd to November 30th 2018 will be going to the Cops for Kids! We believe a strong community starts with businesses who give back. 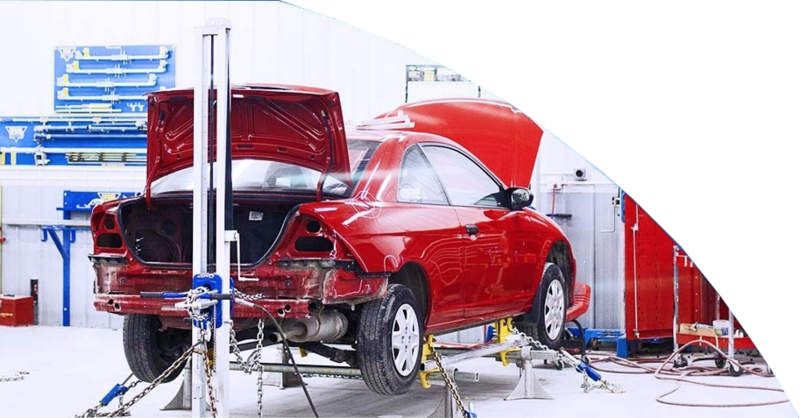 We ask locals to please support our initiative and bring your foggy headlights to any of our Boyd Autobody & Glass locations and purchase a $20 headlight restoration with exterior wash (valued at $50). You can also purchase a Groupon to get your $20 headlight restoration GC for you or a friend! Find the Groupon HERE! 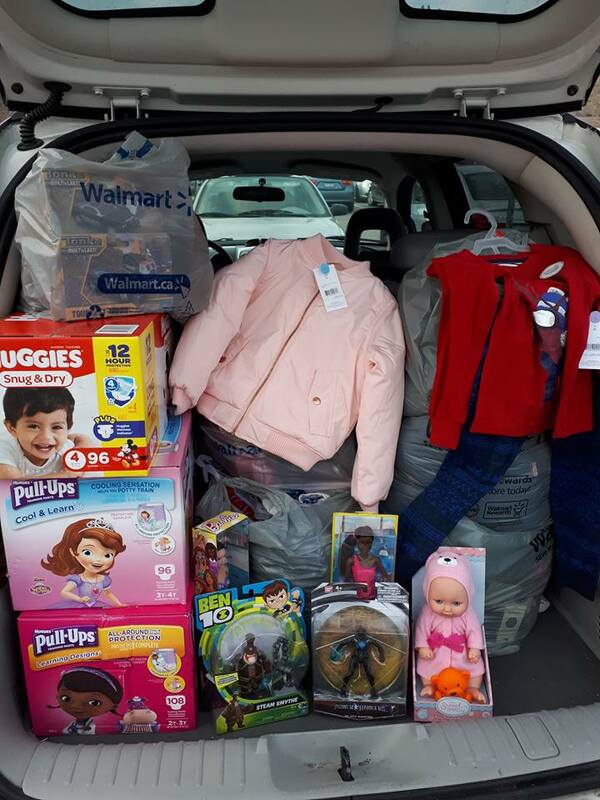 When you bring it to Boyd, you give back to your community! 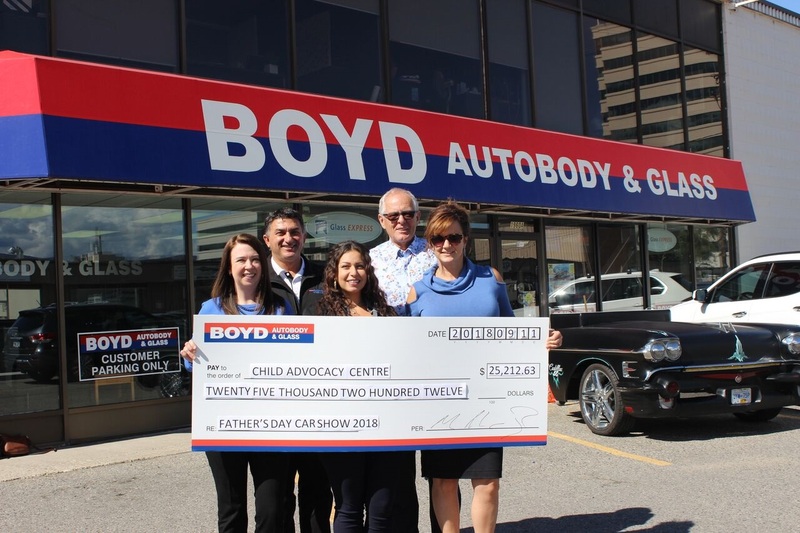 Annual Boyd Autobody & Glass Father’s Day Charity Car Show nets $25,000 for the Child Advocacy Centre of Kelowna. Boyd Autobody & Glass is thrilled to announce they were able to raised over $25,000 this past June to support the development of the Child Advocacy Centre (CAC) of Kelowna. The “CAC” will be a child friendly Centre of Excellence that will provide a collaborative response to child abuse in our community. The Centre will improve access, efficiency and effectiveness of care. The Centre will create a safe space for children and their families and help to prevent future child abuse through support and community education. The cheque for $25, 212.63 was presented to the Kelowna Foundation on Sept 26 and officially marked the projects first large community donation. 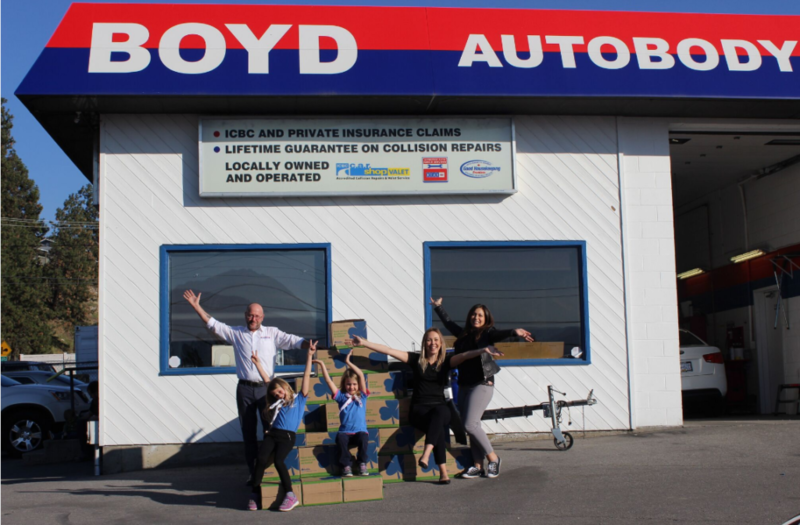 This donation is part of a three-year commitment that Boyd Autobody has made to support the Child Advocacy Centre project. The CAC is the primary project of the Kelowna Foundation for Hope & Social Innovation (KF) who is spear-heading the $6 million campaign to bring the project to life in Kelowna. “We are so grateful to have been chosen to work with Boyd’s over these next three years as their charity of choice. The car show has such an amazing following and so much support from our community. The opportunity to be associated with that story is so incredibly valuable,” says “KF” Executive Director, Ginny Becker. 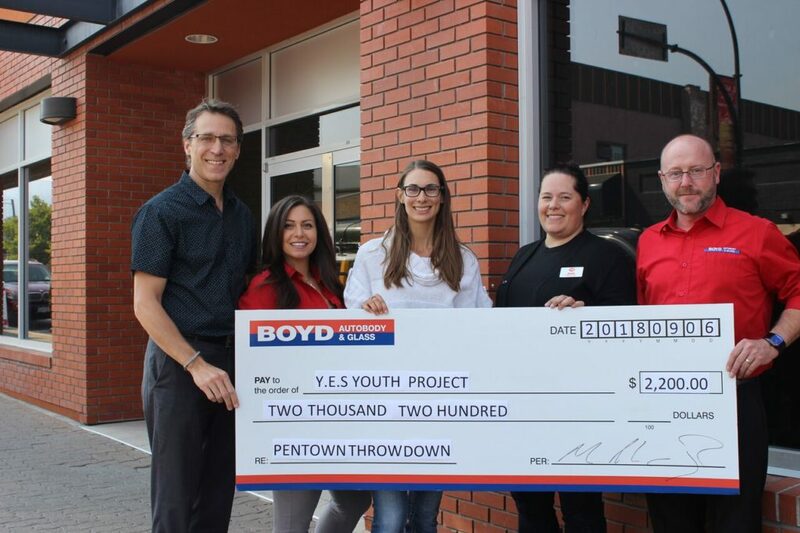 The annual Pentown Throwdown, which took place at PeachFest, has raised record funds for the YES Project in Penticton. “It was better than ever, better than last year,” said organizer Ryan Wuthe, from Boyd Autobody and Glass. The event saw skateboarders and BMX riders competing at the Riverside Skatepark, all vying for cash prizes, while supporting the YES Project. Wuthe said their decision to donate proceeds to the YES Project was based on the community’s needs. “We looked around at the needs, and decided this was the best place,” Wuthe said. The event raised $2,200 for the youth centre, which will be operated by the Community Foundation of the South Okanagan-Similkameen. Thank you to all the wonderful customers for supporting our Canadian Breast Cancer Fundraiser! We donated a portion of our proceeds from the month of February (2018). 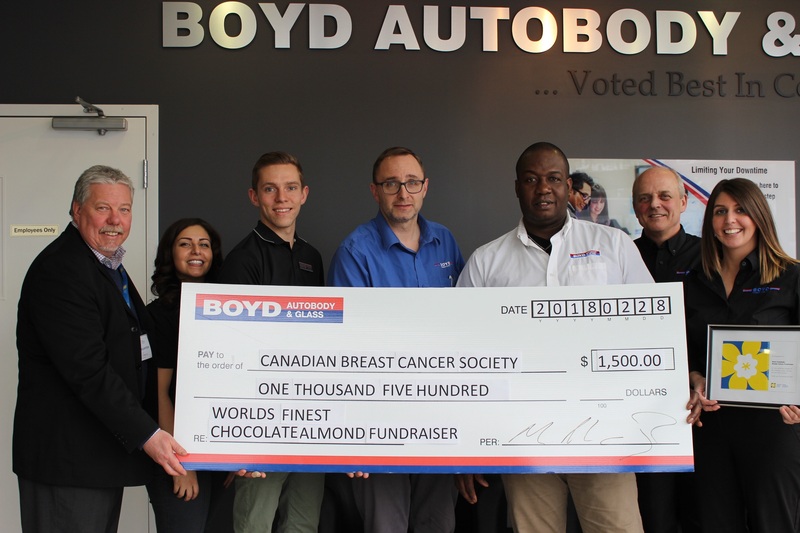 With your help of bringing your repairs to Boyd we were able to make our donation of $1500 to the Canadian Breast Cancer Society! Boyd Autobody & Glass was excited to present Gail Harrison and the Cops for Kids with a chq in the amount of $2500.00! For the months of October and November (2017) Boyd Autobody & Glass offered a Groupon of a Headlight Restoration and exterior wash for only $19.99 (valued at $49.99). All proceeds of this fundraising campaign were donated to the Cops for Kids Ride. 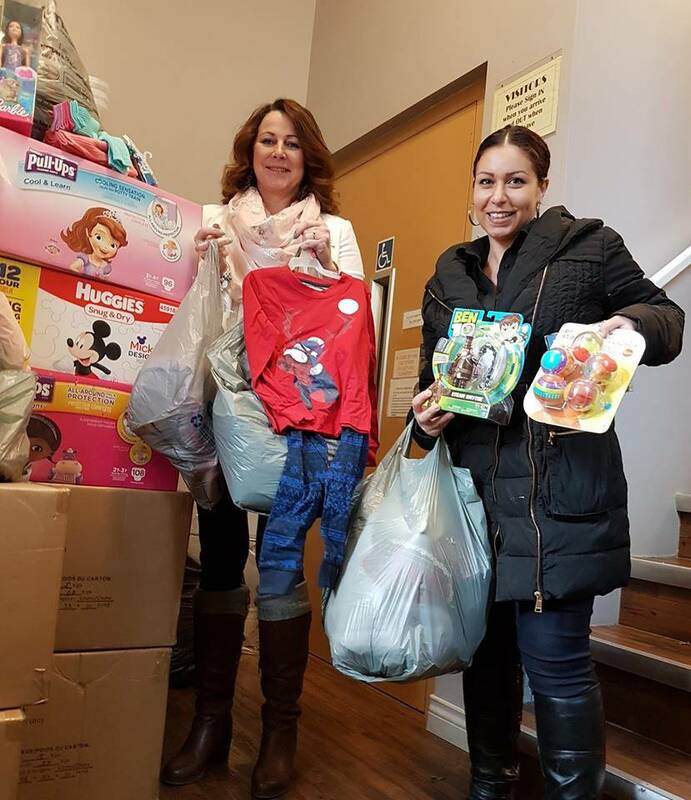 The Boyd team was so proud to see locals of Kelowna, West Kelowna, and Penticton come together to give back to the amazing people helped by the Ride. When you bring it to Boyd you support your local community! A bit about the Cops for Kids initiative: Cops for Kids is a charitable foundation that is committed to assisting children that have suffered a medical, physical or traumatic crisis in their young lives. They tirelessly work to raise funds to continue giving ongoing support to the children in the communities that they serve. 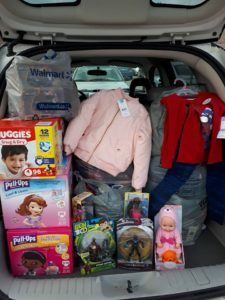 Boyd Christmas – Donations to the Women’s Shelter and SOWINS! 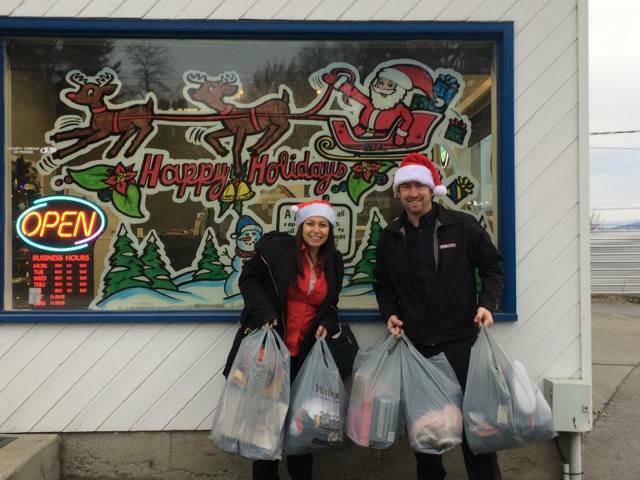 We have been shopping for the Kelowna Women’s Shelter and the South Okanagan Women in Need Society! Our goal was reached. Thank you for this awesome Editorial Kelowna Capital News! To check out the full article click here! Who doesn’t like Girl Guide Cookies? That’s right, the answer is NO ONE! We love supporting the Girl Guides of Canada! This year we supported by purchasing $2000 worth of cookies – which will help send the girls to camp. All customers of Boyd will get a free box of cookies after each collision repair! When you Bring it to Boyd your giving back to your community! Father’s Day Car Show 2017 was another success – Highest amount raised yet! 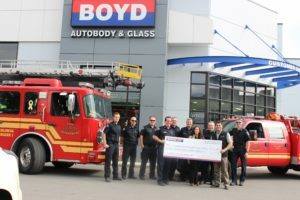 We got all the numbers back from the Father’s Day Car Show and are proud to say we made our donation to the Kelowna Firefighters Professional Charitable Society (and their Burn Fund) for a whopping $16,308.45!! We raised $3000 more than last year and we couldn’t have done it without the financial support, physical help, and silent auction donations of each and every person involved. This year was the most challenging due to the flood which forced us to move locations, but that didn’t stop us and as a result we had the best show yet! The event hosted amazing cars with some spectacular displays including the motor cycles from Harley Davidson, and Konquer! This year’s car show had many new features, such as our very first celebrity guest Mark Worman from Velocity TV’s Graveyard Carz! Just as in years past, the show included a variety of vehicles such as: exotic European cars, imports, luxury vehicles, as well as, a variety of fire trucks and boats. We are excited to start planning next year’s show back at City Park. Thank you for your attendance and support. You should be proud of how much you helped your community!